As we use it frequently, we use Eco Pack. I can reduce the amount of waste and I am very helpful. This review is about item#310948. I have purchased a long type, but it becomes clogged along the way, and since then I'm using. No problem. We are satisfied with cheap purchase from home center nearby. This review is about item#666653. Tepra Pro is saved without any changes such as model changes for a long time. Truly a standard product. There are cases where other products are not usable even if the machine body is broken due to discontinuation. This review is about item#666443. It is used for the heading for organizing box files. I will use it from now on because it is easy to see and peel. Because it uses a lot, I am glad that the price is cheap. It is thankful that there are many opportunities to become cheap by campaigns. This review is about item#00666653. The contents are also many, and the price is satisfactory. I am sort of rich in variety. This review is about item#666547. You can conveniently use it handy. Particularly simple single item notation takes less time and can be used easily, saved. I use so much to buy it even when it is cheap. A lot of used cases come out I think that it would be good if I could recycle. This review is about item#310984. We will use the indication of quality for in-office work. I use it very conveniently. We stock various sizes and use it according to the purpose. Nameplate of the owner of the apartment. I bought two 36 mm tape 2, but even if I printed 2 times, printing will be faded in the middle. Other 36 mm tape tape will not print out. 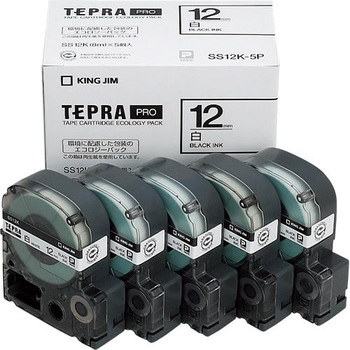 Even if you clean the printhead of Tepla, it will not change. It is very disappointing. This review is about item#666592. This review is about item#00310948. It is a feeling of stable tape use. It is cheaper than others, but I thought it would be nice if I could buy it a little more cheaply. This review is about item#666495. It is clear that the letters are clear, easy to understand, because it has strong adhesion, it is difficult to peel off. Besides the white background, I'm glad that there are more variations. It is used for file back cover, device name display, etc. Familiar stationery goods. It lasts longer and the price is also leanable. It can be attached beautifully, it is very easy to use. I wish the price was a bit cheaper. It was hard to peel off because it was not a type that peel off the release paper by half. I will not purchase it next time. It was 4 ㎜ wide so it was very good to display one at a time in small parts of the machine. This review is about item#00666443. I always bought it with Monotaro san. It is cheap and saved.